The fire stability of wooden bases and structures is ensured by preventing the wood from increasing in temperature. Fire protection cannot be directly applied to the wood, but must instead be accompanied by the installation of a sheet of expanded metal. 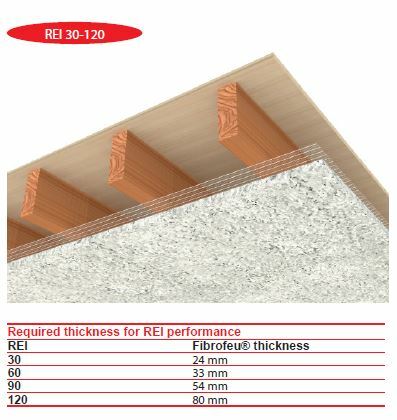 Protection is composed of Nergalto NG1 or equivalent sheets installed perpendicular to the joists (sheets are placed side by side with a 100 mm overlap) and an application of Fibrofeu®. For other applications, please contact us.